I made these for a mom who has done all my filing all year. I was inspired by these cards from Lisa at Lisa's Creative Corner. Colors used were Crystal Blue, Petal, Key Lime, and Blush. The stamps I used came from Delight in Everything, Flutter, Happy Birthday, Thank You, and TLC. After this, I definitely need the scallop square punch. It took forever to cut all those squares with my Cuttlebug. P.S. While you are at Lisa's blog, you HAVE to check out her Teapot boxes--they are gorgeous!!! I don't know how she makes her roses so perfect, but, WOW! 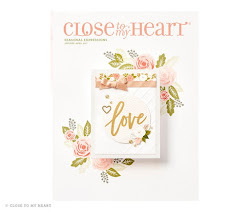 these are darling cards!!! I bet your mom loved them!